It’s time to announce the winner of our 8th-Annual Trane Furnace Giveaway! Congratulations to…...James & Shaunna B. from West Chester! James & Shaunna told us in their entry that they were concerned about their current 37 year-old furnace. They had been patching both the old furnace and A/C along since recently moving into the home, and like many new homeowners, had found plenty of other big projects to tackle and weren’t ready for the additional project of replacing the HVAC system. They knew they were on borrowed time and were worried that the furnace would give out on them this winter, leaving their family in the cold! So what do you do when put in this situation? Enter the Logan Services Free Furnace Giveaway! We reached out to the family last week and left a message on James’ phone telling him that we had some exciting news to share about a recent giveaway he had entered. He nonchalantly told his wife that we had called and that she needed to reach out to us, although she wasn’t sure why. When Shaunna called in, she got the BIG SURPRISE! She was ecstatic to hear that they had been selected as our 2018 winners of a free Trane furnace, complete with installation. 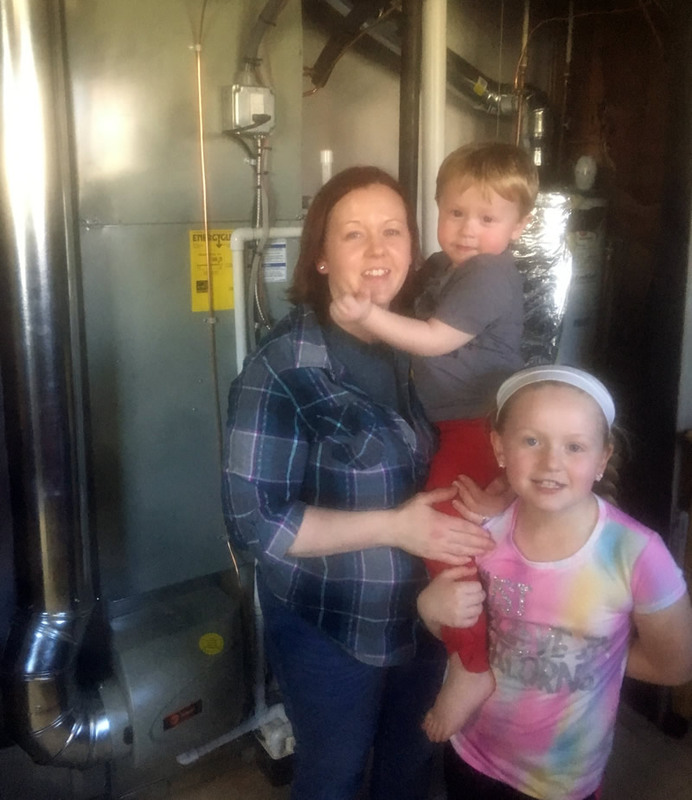 While James and Shaunna were thrilled to have their furnace replaced for free, they decided it would be best to upgrade their air conditioner as well and got a whole new high-efficiency HVAC comfort system with Logan Services. ...And we couldn’t be happier to help bring this family total home comfort! Congratulations again James and Shaunna! Welcome to the Logan Services family!